(MARION, N.C.) — A petition to save the job of a beloved Walmart greeter with cerebral palsy in North Carolina has garnered thousands of signatures. Jay Melton has been working as a greeter for Walmart for nearly 17 years, according to the petition listed on Care2.com. The store in Marion, North Carolina, has decided to change its “greeter” roles to “customer hosts,” which would require employees to stand for long periods of time, lift 25-pound packages, check receipts, write receipts and help with product loss investigations. Melton, however, cannot walk without assistance and therefore does not qualify for the position. “So that means that he could soon lose his job when the changes go into effect,” the petition states. A spokesperson for Care2 told ABC News the petition was started by a local Care2 community member who has chosen to remain anonymous. 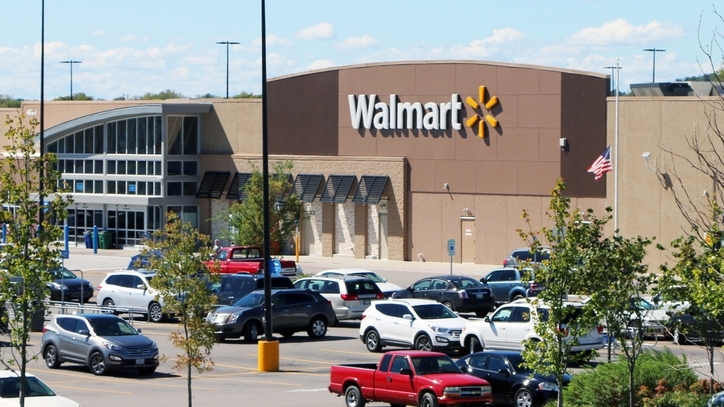 Melton found out about Walmart’s plans to get rid of the greeter position last week, according to ABC affiliate WLOS-TV in Asheville, North Carolina. The store will begin phasing out the position in the next 60 days and there are no other positions Jay Melton can do at the store, according to the station. Working there has been one of the highlights of his life, the petition said. Melton told the station that his favorite part of the job is interacting with little kids and getting hugs from regular customers. The petition had garnered nearly 6,000 signatures by Monday afternoon, just dozens shy of the 6,000 goal. “Everybody in the county knows Jay,” Jim Melton said. “He’s been a blessing to Walmart and to the public here,” Hatfield said. Another customer described Jay Melton to the station as having “a smile from here to California,” while another said he feels everyone feel welcomed when they walk into the store. More than 1,000 stores have made the switch from hosts to customer greeters in the past two years, according to WLOS-TV. The position comes with more responsibilities and a higher pay, a Walmart spokesperson told WLOS-TV.